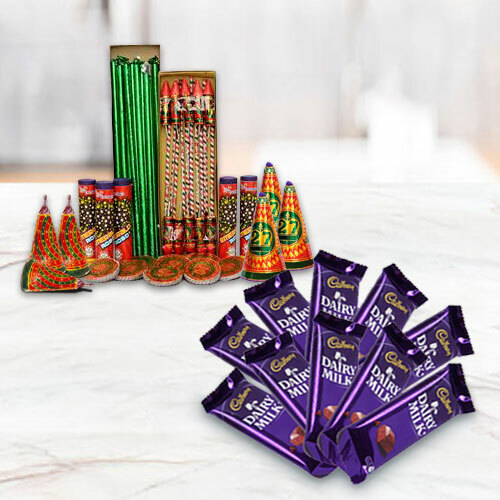 Feelings are delivered perfectly when you send this Nostalgic Diwali Assortment on the pious day of Diwali and spread your love in the lives of the people dearest to you. This extravagant Diwali Hamper consists of tempting Cadbury Dairy Milk Bars (10 pcs) packed with some superior quality Fire Crackers worth Rs. 300.